At Star Magazine’s “All Hollywood” Event. Christina Milian flaunted down-to-there curls with major volume. Cassie has made the side-shave her signature style, but took her look to new lengths with flowing extensions. During an appearance at Harrah’s Resort in Atlantic City, Ashanti sported two-toned tresses flowing down her back. Rocsi Diaz took her long locks to new levels in waist-length curls with subtle honey brown highlights. Jessica White attended the Rica Swimwear launch event in stretched strands with amber highlights. 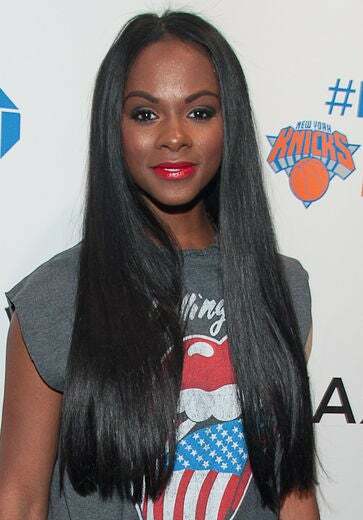 Tika Sumpter attended the New York Knicks 2012 Playoff Celebration wearing long and lush ebony locks. There was no shame in Wendy Raquel Robinson’s game when she showed off her fierce, waist-length strands at the BET Honors event. KeKe Palmer was all smiles on the red carpet of the Think Like a Man premiere in a wavy, wondrous weave. 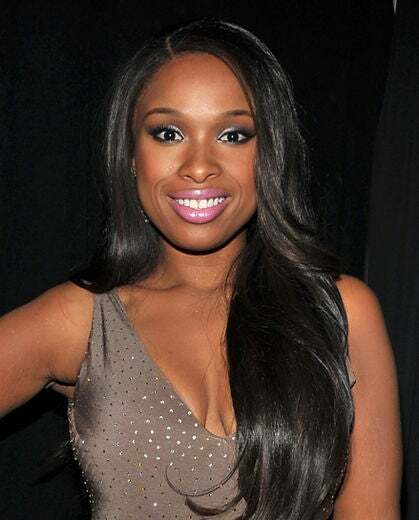 Jennifer Hudson’s long locks were ultra glam when she attended a book signing at a Los Angeles Weight Watchers Center. We love her accent braids, too! Nicki Minaj turned heads at the American Music Awards in a bright blue and blonde waist-length wig. Melanie Fiona is a big fan of very long hair, and we loved her jet black, shiny strands tossed over one shoulder for an easy-breezy look. Kimora Lee Simmons’ trademark is her jet-black, lustrous, impossibly long hair which we loved when she arrived at the US Weekly magazine event. At the Roll Over Hunger Charity & Skate Jam, Ciara rocked long, lush waves with sunny, honey-blonde highlights. At Kevin Hart’s “Laugh At My Pain” Los Angeles premiere, Tamar Braxton was a blonde bombshell in waist-length, loosely curled strands. During an appearance for an “X Factor” press conference, Kelly Rowland sported her sassy new ’do: super long, jet-black waves with glossy side-swept bangs. Jessica White attended the PMc Magazine launch event wearing a half-up/half-down style with über-long waves. 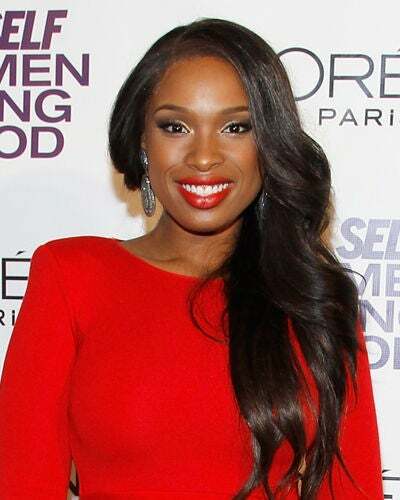 At the “Christmas in Washington” event, Jennifer Hudson was stunning in waist-long locks and a deep side part. Tika Sumpter arrived at a Rebecca Taylor boutique opening in bone straight, waist-length strands. Leona Lewis rocked her long, romantic, waves over one shoulder at the GQ Men of the Year Awards. At the launch event for her Pastry Shoe Collection, Angela Simmons was over-the-top glam in a waist-length cascade of soft curls. Ciara’s super long, two-toned strands were spotted blowing in the wind on the streets of New York City. Actress Vivica A. Fox’s waist-length spirals were absolutely stunning at the premiere of Joyful Noise. We’re confident Vivica’s long tresses are from her own Vivica A. Fox Hair Collection. KeKe Palmer arrived at the NAACP Image Awards in long, lustrous go-there hair. Rocsi Diaz stepped out at the micahjesse.com 5 Year Anniversary Celebration in sleek strands that hit her hips. At SELF Magazine’s 4th Annual Women Doing Good Awards, Jennifer Hudson opted for over-the-shoulder strands that were long and luscious. During a performance in West Orange, New Jersey, Kelly Rowland sported her sassy new ’do: super long, jet-black waves with glossy side-swept bangs.